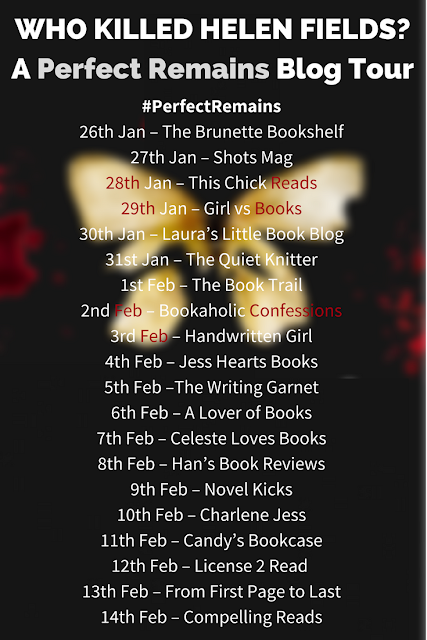 Today on Laura little book blog, it is my turn on the Perfect Remains blog tour. If you have been following along, you will know that the author Helen Fields has been killed! I know have the fifth clue as to who did it! Watch the video below and if you have missed any of the other clues, stop by the other blogs on the tour.